According to the Milindapatha, the Buddha considered the following subjects to be the objects of meditation. The non existence of a permanent self. The impurity and wretchedness of life. The idea of ridding oneself of all evil tendencies. The idea of passionless ness. The idea of stopping the influx of evil tendencies. The idea of dissatisfaction with all the things of the world. The idea of the impermanence of all conditioned things. The idea of the mindful control of breath. The idea of corpse in a state of disintegration. The idea of execution of criminals with all its unpleasantness. Whoever wishes to become free from age and death, should practice meditation on any of these subjects, so that he can become free from passion, dullness and hatred, from pride and false views. With such meditation, he overcomes death, desire, the various impurities of the mind, and destroys all the evil within him. He becomes stainless and undefiled, pure and white, unaging, deathless, secure, calm and happy. He attains Nirvana. If one has no meditation teacher from whom one may request a meditation subject, then one has to rely upon one's knowledge of one's character in order to prescribe for oneself a suitable meditation. There are forty meditation exercises (kammatthana) noted by the great teacher Buddhaghosa as being suited to certain types of character. For the purposes of meditation, he considers six characters: faithful, intelligent, and speculative (in which the skillful roots of non-greed, non-hatred and non-delusion are variously dominant); and greedy, hating, and deluded (in which greed, hatred and delusion, the unskillful roots, are dominant). The trouble here is twofold: firstly, very few "pure" types can be found, most people being mixtures of two or more of them — and moreover ever-changing mixtures; and secondly, it is rather difficult to judge which class one's character belongs to since one's own delusion and pride are apt to blur one's judgments. This is but one small matter in which the value of the meditation teacher may be discerned very easily. One may learn much about oneself, however, by being mindful at the time when some unexpected event takes place. At that time one can spot one's reaction and the stains which are present in the mind. Later judgments are not worth very much, since by that time the mind has got round to self-justifications, and other kinds of distortions of the original event. Below is given the list of the forty meditation exercises with some notes upon their practice, the characters which are benefited, and the types of stains combated by them. The most widely used meditation exercises are starred (*). 5-8 recommended for the practice of hate characters because of their pure, pleasing colors. Apart from the possible exception of 5-8, no special moral stain is counteracted by these ten kasinas. As they are to be developed through the eye, they will not be very suitable for anyone with weak sight (according to Buddhaghosa). The only one of the ten kasinas which seems to be practiced much these days is that of light, which some people find arises quite naturally when they begin to concentrate the mind. While Acariya Buddhaghosa's explanations in Path of Purification tend to stress the importance of using exterior supports for practice (the making of the earth kasina is very minutely described), whenever the writer has heard of them being employed (in Thailand), they are always in the nature of visions (nimitta) arising internally and being developed from this basis. It appears that contemplations of an exterior earth, etc. kasina is unknown in Thailand. 11-20 recommended for greed characters. These and similar lists in the Satipatthana Sutta reflect the time when disposal of corpses upon charnel-grounds was common. Now, however, even in Buddhist lands they are difficult to find, let alone in Western countries. Teachers in Thailand at the present time stress that one's own body is to be seen in these ways as a vision (nimitta) arising in the course of mind-development. As these can be fearful, one should have the instruction of a skilled teacher for dealing with such visions, when they can be of great advantage. It may be stressed here that there is nothing morbid in contemplating such sights, interior or exterior, as these. The body's decay is just something natural, but normally it is not seen because people do not like to admit this. Instead of facing bodily decay and bringing it out into the open, dead bodies are even made to look attractive by embalmers and cosmeticians; and where this cannot be done, they are stowed away in beautiful coffins with bright flowers, etc. Buddhist training makes one look squarely at those aspects of life which normally (that is, with craving) are not considered "nice," and makes one calmly face them in respect of one's own mind and body. This group of ten has a more miscellaneous character than the previous two groups. In practicing the first three recollections (21-23) one recited the lists of qualities of each one of these.6 Or if the mind does not become concentrated in this way, one chooses one particular quality and recites that silently and continuously (such as "Buddho" or "Araham"). Rosaries are used in some places in connection with practice of this sort. The recollections on virtue and generosity are specially good to cultivate in one's old age. One reviews all the meritorious deeds (puñña) made by one in the course of life, and recollecting them the mind becomes tranquil and happy, and having such a mental state at the time of death, one is sure to be reborn in very favorable surroundings. One cannot recollect the celestials (deva) except by hearsay unless one has seen them. This practice is suitable for those who have increased the range of their minds and so have made contact with other more subtle beings. Death may be recollected by intelligent characters since they will not be frightened at the prospects which this practice opens up. It is a great incentive to practice now when one does not know whether even one second from hence, one will be alive. The twenty-eighth recollection — on the body — is for greedy characters, who need to develop dispassion regarding the body. This is achieved by the analysis of the body into thirty-two unbeautiful parts, and then by selecting one or more of these and examining it. However, this practice comes to perfection when with insight the body is illuminated and its various components are clearly seen and their nature understood. The mindfulness of breathing is recommended for calming and clearing the mind, and a person of almost any temperament may practice it with benefit, though great care is needed in the subtler ranges of this exercise. The breathing is never forced but observed constantly with mindfulness, the point of concentration being usually the nose-tip or nostrils. However, teachers vary in their practice of it. The recollection of peace, says the great Acariya, is only of certain benefit to those who have already experienced Nibbana, such as stream-enterers; but others can gain some calm from contemplation of peacefulness. The peace spoken of here is really Nibbana, and as one cannot recollect what one has not known, if a worldling (puthujjana), this is a practice for the Noble Ones (ariya). 39. 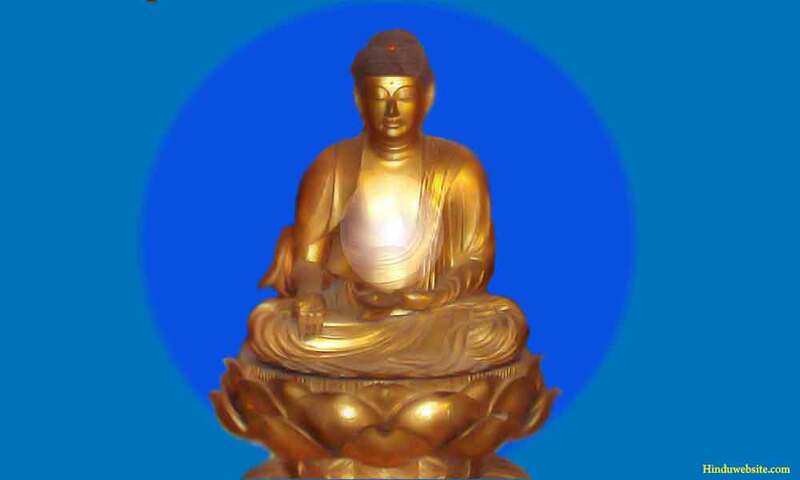 While it is essential for the bhikkhu who has to rely upon collected food (which is sometimes good and sometimes not), lay people can also benefit from this practice, which Acariya Buddhaghosa notes is for intelligent characters, and is designed to lessen, and lead to the destruction of, greed and gluttony. 40. These are earth (solidity), water (cohesion), fire (temperature), and air (movement), all of which characterize our physical bodies. These elements may be perceived by an analysis based upon the use of mindfulness.7 This practice is also said to be particularly fitted for the intelligent character. Those practices not mentioned in connection with character are suited to anyone. As all of these practices are aimed at the lessening and eventual destruction of the stains (kilesa), one may appreciate how important they are thought in Buddhist training. Where the stains are present, there the darkness of unknowing holds sway; but where they are not found, there shines forth the wisdom and compassion of Enlightenment.